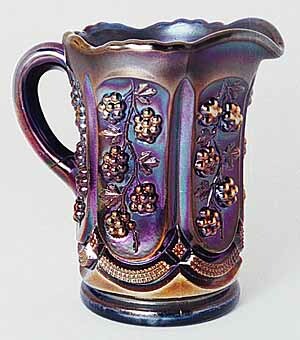 This 4 1/4-inch tall child's pitcher is the only iridized example known. It sold most recently for $625 in 1994. Virginia is a US Glass Co. pattern but the blackberry seem to be like those of the Northwood Raspberry pattern.